Havarti is a semi soft Danish style cheese. 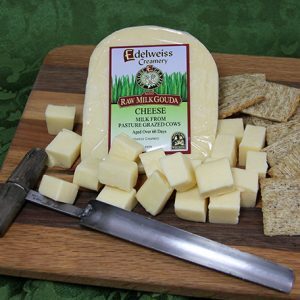 It is a washed curd cheese, which contributes to its subtle flavor. 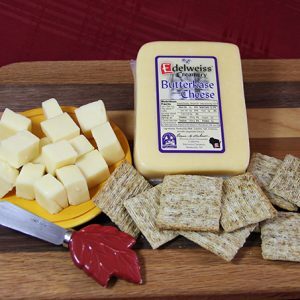 Havarti has a buttery and somewhat sweet taste. It has very small irregular eyes. 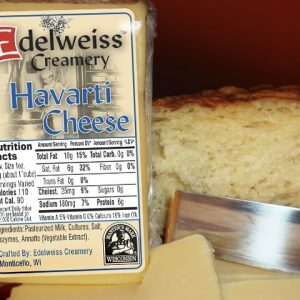 Havarti is an excellent table cheese, sliced on a sandwich or melted in your next grilled cheese sandwich. 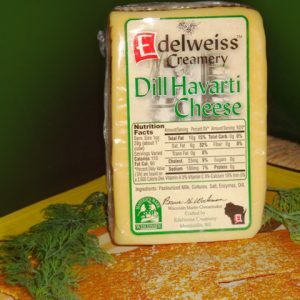 View cart “Edelweiss Dill Havarti 7 oz” has been added to your cart.